Mr Foo Cheow Ming is a dedicated criminal lawyer and defence lawyer in Singapore. 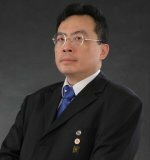 He is an expert Singapore criminal defence lawyer (ex-DPP) with almost a quarter-century’s practice experience first as a Deputy Public Prosecutor and State Counsel, then as Defence Counsel. Foo Cheow Ming started his career in the Legal Service where between 1989-1999 he served firstly as Assistant Registrar of Supreme Court, and then as Deputy Public Prosecutor in the Attorney-General’s Chambers. Mr Foo is appointed to the List of Counsel for the Cour Penale Internationale (International Criminal Court, ”ICC”) in The Hague, Netherlands. The ICC is an independent, permanent court instituted under UN auspices that tries persons accused of the most heinous crimes of international concern, namely genocide, crimes against humanity and war crimes. He is believed to be the first counsel from Singapore, as well as amongst the first appointed from the countries of SE Asia and East Asia, who has been so honoured. Mr Foo today commands 20+ years of experience acting as both defence and prosecuting counsel in cases involving every description of white-collar, traffic, technical as well as violent crime offences including cheating, maid abuse, causing hurt and outraging of modesty, corruption, firearms offences etc.